Feeling cold throughout the winter months? 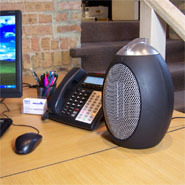 Feeling less productive due to cold work stations and offices? Safe for Use: Child-safe! Can be used by anyone including the elderly or those with impaired circulation.